It is a joy to be with you again. I had the pleasure of serving as your Priest Associate for nine years, and it is wonderful to be back. Thank you, Tom, for inviting me to preach. I feel a bit like the apostles whom Jesus sent out to heal and preach and teach, and who returned to Jesus to report back on what they had learned and how things were going. 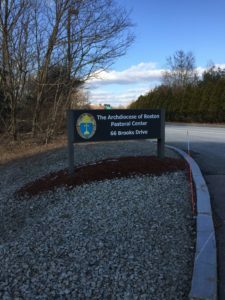 I will spare you a long report on what I’ve been up to over the past three-and-a-half years as Missioner for Creation Care in this diocese and in the Mass. Conference of the United Church of Christ. My Website, RevivingCreation.org, will tell you anything you want to know. But I will say that this has been a lively and rewarding time of building up the God-centered, Spirit-led movement to protect the web of life and to create a more just and sustainable future. 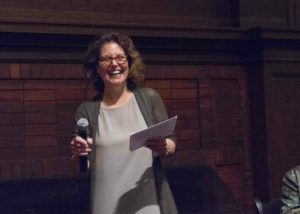 I’ve been traveling around, preaching, speaking and leading retreats, aiming to mobilize a wave of religious activism to find solutions to the climate crisis. It’s been heartening to catch glimpses of the many ways that members of this congregation share in this mission with me. 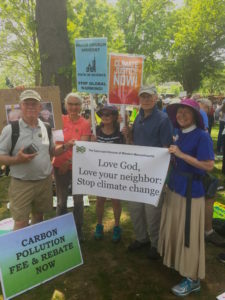 Just two weeks ago I met up with four of you – along with more than 200,000 other dedicated souls – at the People’s Climate March in Washington, D.C., and many others of you took part in local events on the same day here in the Valley. Thank you for that witness. Today’s Gospel – and the Gospel readings for the next two Sundays – is drawn from the section of John’s Gospel called Jesus’ “farewell discourse.” Jesus is saying goodbye to his friends, telling them that even though he will soon leave them physically, his presence and power and spirit will come to them and remain with them always. “[Jesus said,] ‘Do not let your hearts be troubled. Believe in God, believe also in me. In my Father’s house there are many dwelling places. If it were not so, would I have told you that I go to prepare a place for you? And if I go and prepare a place for you, I will come again and will take you to myself, so that where I am, there you may be also’” (John 14:1-3). I don’t know about you, but just now it is startling for me to hear “Do not let your hearts be troubled,” because naturally our hearts are troubled. On a personal level, all sorts of things may be troubling us: maybe financial worries, or a medical issue, or some conflict in an important relationship. Regarding politics, many of us are troubled by the extraordinary events now unfolding in our nation’s Capitol, from the firing of the Director of the FBI to growing concerns about Russian interference in the last election and possible collusion and cover-up by our nation’s top leaders: we may well be troubled by what looks like an assault on the institutions that maintain democracy. And we have good reason to be deeply troubled by the ongoing and accelerating attack on God’s Creation, the Earth upon which all life depends. Our current leaders seem determined to develop more coal, gas, and oil, just when we urgently need to keep fossil fuels in the ground. 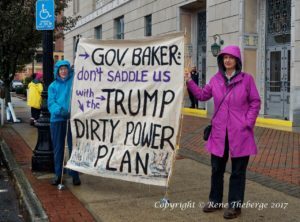 They likewise seem determined to ignore climate science, to shut down climate Websites, to withdraw funding for climate research, and to abandon regulations that protect our health and environment, as if ignoring the climate crisis will make it go away. Last year was the hottest year on record, crushing the record set the year before, which in turn crushed the record set the year before that. As global temperatures rise, every living system of the world is being affected and is in decline. Sea ice is melting rapidly at both poles. Land ice is melting and sliding into the sea. 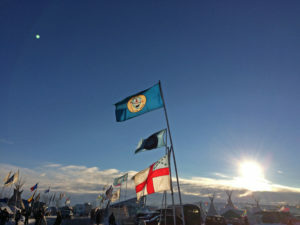 Tundra is thawing and releasing methane – a serious greenhouse gas. Storms are becoming more intense. The ocean is absorbing heat and excess carbon dioxide, and in just decades has become 30% more acidic. Scientists recently reported that large sections of Australia’s Great Barrier Reef have died. For all of us who feel anxious and unsettled in this turbulent time, today’s Gospel passage brings words of reassurance and hope. “Do not let your hearts be troubled. Believe in God, believe also in me. In my Father’s house there are many dwelling places.” Here is the first great promise that Jesus makes to us this morning: our souls have a destination, a home in God. We may enter the fullness of that divine dwelling place only at the end of our lives, but anyone with sustained experience in prayer, especially contemplative prayer, knows that we’re also invited to enter that dwelling place now. God is found not just “somewhere out there,” in a distant place or time. God is found right here and now, in the intimate, unrepeatable present moment. Every ache in us, every bit of restlessness and striving, every desire that moves through us in the course of a day, is an echo of the soul’s deep hunger for communion with God. The longing for our sacred Home in God is at the root of all our other longings and desires. But how do we find that Home in God? How do we get there? Even if, strictly speaking, there is nowhere to get to, even if in some sense God is already here, already alive in our depths and in our midst, how do we discover that truth for ourselves? What is the path? What is the way? That is the question that Thomas asks Jesus. You know how Jesus answers: “I am the way, and the truth, and the life. No one comes to the Father except through me” (John 14:6). That is the second great promise that Jesus makes to us this morning: there is a way into the heart of God, and Christ is the path. Christ is the way. I am ashamed to say that Christians have too often wielded this statement as a cudgel against people of other faiths, holding it aloft like a fist: follow Jesus or else. Christians have too often interpreted this statement as Jesus speaking from his ego to our ego, as if Jesus wants to bolster the part of our selves that likes to have power, to dominate and be in control. But when Jesus says, “I am the way, and the truth, and the life,” Jesus is not speaking from his ego to our ego. He is speaking from his soul to our soul. He is inviting us to trust him, to be devoted to him, to dedicate ourselves to following him so that we, too, are drawn, as he is drawn, into the divine life that circulates at the center of everything and that can never be destroyed. Jesus is the gateway to the great way: to a universal love in which no one is left out. So Jesus speaks to the soul and says, “I am the way, the truth and the life. I am the indwelling presence of God, the creative Wisdom of God through whom all things were made, in whom everything is knit together, and toward whom all things in heaven and on earth converge. I make my home in you and in every person, whatever he or she happens to believe, and whether he or she is aware of it or not. You can ignore me, you can deny me, you can conceal me under all the worries and pleasures of your life, but if you open yourself to me in quiet prayer – if you listen attentively to my silent love – if you practice paying attention to my presence as you go through the day – if you lean on my love and trust in my power – what amazing things you and I will do together!” (c.f. Acts 17:6). This is what distinguishes secular activists from activists who are led by faith: secular activists depend on people power, on their own power, on what human beings can accomplish by themselves. And this can be a lot! But Spirit-led activists depend on God’s power. They draw from a sacred power beyond themselves, from a source of love and strength far greater than anything they can ask for or imagine. In these troubled times, we need Spirit-led activists, people who take time to pray and to listen inwardly for the presence of the Spirit, people who resist the temptation to get so caught up in tracking the latest breaking news, the latest tweet, the latest post on social media, that we forget to tap into the wisdom that can only be found deep within, by patient listening in silence. 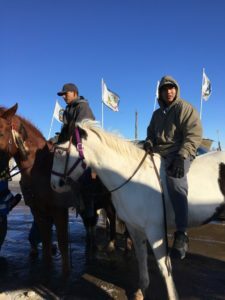 In these troubled times, we need Spirit-led activists who step out to do what needs to be done, even if they have no assurance of success – activists who bear witness to the ongoing flow of love that God pours into our hearts through the power of the Spirit (Romans 5:5), even in a world often gripped by cruelty and fear. 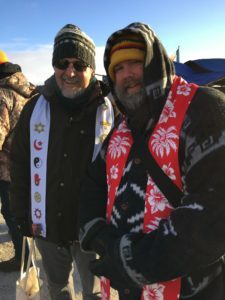 Thanks be to God, people of all faiths are rising up the world over to proclaim the sacredness of God’s Creation and to express our refusal to stand idly by and let the web of life be destroyed. 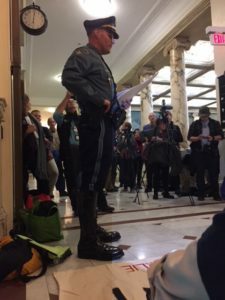 People of faith are lobbying, and advocating, and pressing our politicians to keep fossil fuels in the ground, where they belong. 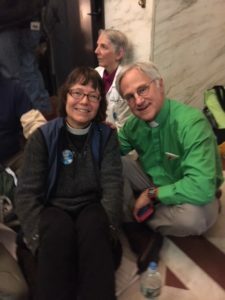 People of faith are blocking the path of new fracked gas pipelines, pushing for a fair price on carbon, and working to build a clean green economy that provides decent jobs and improves public health. You never know where the Spirit will lead you. 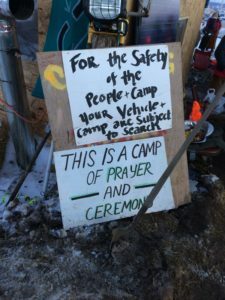 A UCC pastor and friend of mine, long-time activist Andrea Ayvazian, was recently praying as she rode a train to and from Texas, and the Spirit gave her a vision of a school that teaches people how to build the movement for eco-social justice. 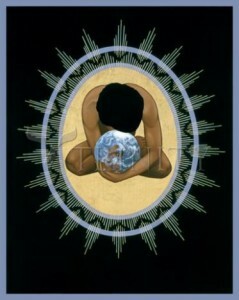 Thus was born the Sojourner Truth School for Social Change Leadership. 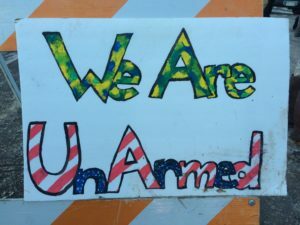 Launched just this month, it offers free classes from Greenfield to Springfield on everything from how to write for social change, to how to run for office, how to prepare for non-violent civil disobedience, and how to maintain a peaceful heart. 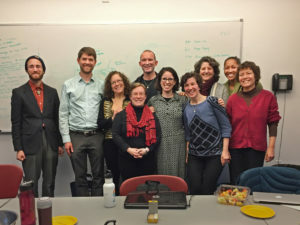 The Sojourner Truth School for Social Change Leadership is already on its way to becoming a model for how to start similar schools in cities across the country. Check it out online or pick up one of the brochures I’ve left at the door to the church. I’ll be teaching a class on spiritual resilience in a couple of weeks. 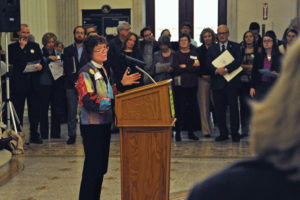 I see the Spirit at work in the climate action network here in the Pioneer Valley, Climate Action Now, which is engaged in campaigns to accelerate a transition to clean, safe, renewable sources of energy, such as sun and wind. 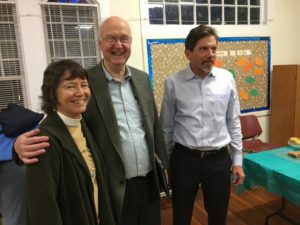 The monthly meetings of Climate Action Now begin and end with silence, prayer, or singing, and if you sign up for their weekly newsletter, you’ll be joining a vibrant local effort. 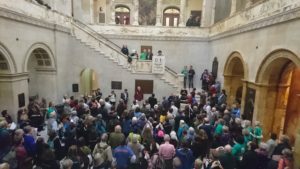 The Spirit also inspired the formation of another group, the Massachusetts Interfaith Coalition for Climate Action, or “MAICCA” for short, which is bringing together Christians, Jews, Quakers, Unitarians, and people of all religious traditions to push for legislation in Massachusetts that supports climate justice. 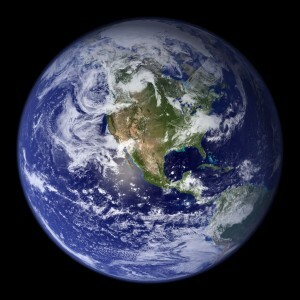 Suppose you deeply loved this planet and were also deeply concerned for its future. And suppose you wanted to hold an event to give voice to those feelings. What would you call it? 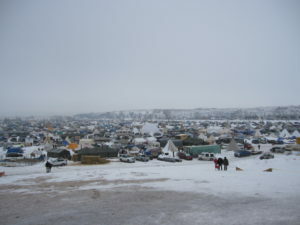 Let’s say it was a large, outdoor, interfaith festival of music and prayer to celebrate the Earth. Let’s say you had everything planned — a date: Sunday, June 11. A time: 2 p.m. A place: a big open tent behind Congregation B’nai Israel in Northampton. 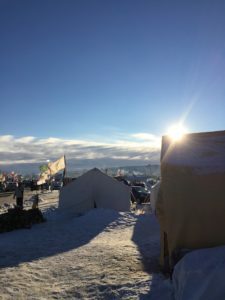 Let’s say you had a clear vision for the event: a family-friendly gathering for everyone who loves the Earth and wants to come together for one hour to pray and sing, to acknowledge our fears and concerns about the planet’s health — especially its climate — and to strengthen our spirits as we work for a more just and sustainable future. 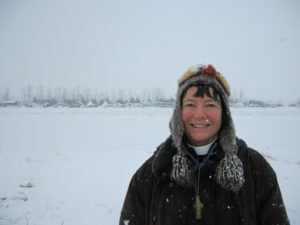 Let’s say you had lined up two excellent guest speakers: the mighty Rev. 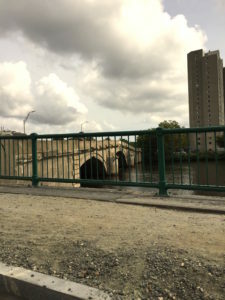 Mariama White-Hammond, Associate Minister for Ecological Justice at Bethel African Methodist Episcopal Church in Boston, and Jay O’Hara, the Quaker activist featured on Democracy Now!, who was arrested in 2013 when he used a lobster boat to prevent delivery of 40,000 tons of coal. 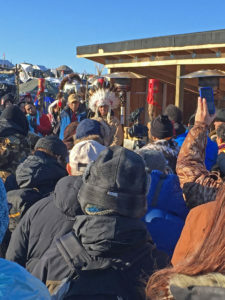 Let’s say you had attracted plenty of local talent to help lead the service: faith leaders from a variety of traditions and a diverse group of local musicians. In fact, all of that was set up. Nearly everything was in place. Only one thing remained: deciding what to call the event. For a while, that riddle beset us, the event’s organizers. We chewed on possible names, trading ideas. Eventually, two words emerged: reverence and resistance. Why reverence? Because we hope to cultivate in ourselves and in each other a deep respect for Earth and all its inhabitants, human and other-than-human. Because we want to remember that the land is holy, the water is holy, the air is holy and life itself is a precious gift. 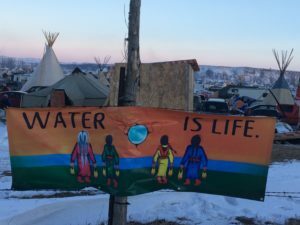 Because we recognize that society too often treats people (especially poor people and people of color) — and the whole natural world — as if they were objects to dominate and exploit, instead of beings with intrinsic dignity and worth. Because we live in a society that too often pretends that human beings are separate from the web of life, not accountable to any law higher than the supposed laws of economics, and without a purpose greater than grabbing for riches, status and power. Reverence takes many forms. 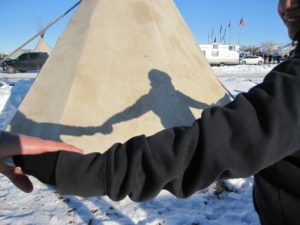 We are reverent when we walk the Earth mindfully, blessing it with every step. We are reverent when we pay attention to the beauty, mystery and suffering in the world around us. We are reverent when we reduce our carbon footprint, walk and bike more often, or ditch the dryer and hang our laundry on a line. We are reverent when we try to encounter each person, each creature, each moment, with sincere interest and an open heart. We are reverent when we refrain from speaking harshly or with contempt, for reverence teaches us compassion. 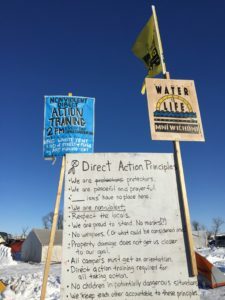 Why resistance? Because people of faith have a long history of rising up against injustice and speaking out against policies and practices that oppress, abuse or cause harm. 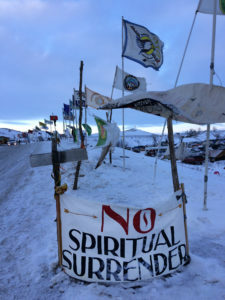 Because when we put our beliefs into action and stand in direct opposition to an unjust status quo, we follow in the footsteps of prophets and leaders of every spiritual tradition. Because we refuse to stand idly by while political powers ramp up their efforts to devastate the Earth. Because we live in a climate emergency: Unless we rapidly reduce consumption of fossil fuels and make a swift, bold transition to clean, renewable sources of energy like sun and wind, we will leave a ruined and possibly uninhabitable world to our children and their children. Resistance takes many forms. 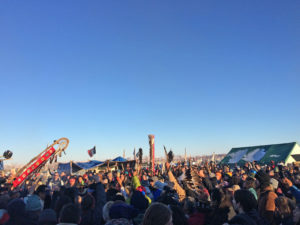 We resist climate catastrophe when we risk arrest and take non-violent action to stop new pipelines; when we lobby for a fair and rising tax on carbon; when we urge colleges and other nonprofits to divest from fossil fuels. 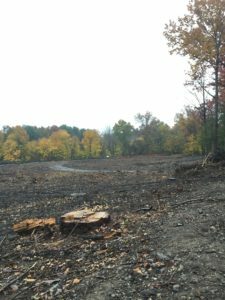 We resist climate catastrophe when we support our local land trusts and farms, plant trees and community gardens, and reuse, recycle, share what we have and buy less stuff. 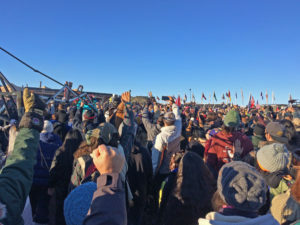 We resist climate catastrophe when we march and join rallies, engage in public fasts and prayer vigils, contact politicians, vote and even run for office ourselves — all for the sake of directing society away from the cliff of continuing business as usual and toward a more sustainable path. Our planning group eventually came up with a name for the event. 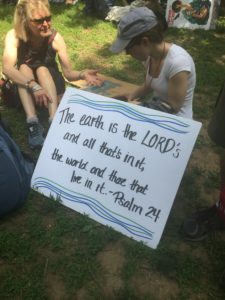 We’re calling it “Public Prayers for the Planet: Reverence and Resistance.” On June 11, we hope to strengthen the religious and spiritual movement to avert climate catastrophe and to protect the web of life. We hope you’ll join us. The Rev. 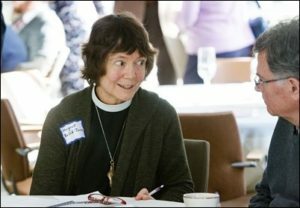 Margaret Bullitt-Jonas of Northampton serves as Missioner for Creation Care in both the Episcopal Diocese of Massachusetts and the Mass. Conference, United Church of Christ. Her website is RevivingCreation.org. Earth Matters, written by staff and associates of the Hitchcock Center for the Environment at 845 West St, Amherst, appears every other week. For more information go to www.hitchcockcenter.org, call 256-6006 or write to column@hitchcockcenter.org. This article, dated Friday, May 5, appeared in Daily Hampshire Gazette on Saturday, May 6, 2017, and may be viewed here. 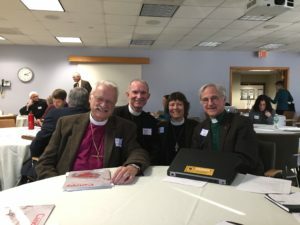 I feel a special kinship with this congregation, because you are pioneers in building ecumenical relations: you’ve gathered Lutheran and Episcopal communities into one shared community of worship. I can relate to that, for I serve two denominations in one job. 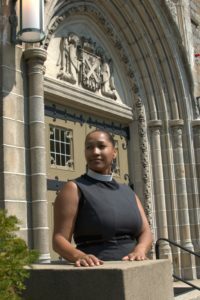 As Missioner for Creation Care, I serve both the Episcopal Diocese of Western Massachusetts and the Massachusetts Conference of the United Church of Christ. So let’s hear it for Christians coming together to praise the one God and to follow Jesus, wherever he leads! Today is Earth Sunday, the day after Earth Day, the day when people across the country celebrate the blue-green planet that we call home. Today is also the Second Sunday of Easter, and, as we always do at this time of year, we hear a marvelous and mysterious story from the twentieth chapter of the Gospel of John. Jesus shows himself to the disciples on the evening of Easter Day and then returns a week later to convince the disciple we call Doubting Thomas that yes, the Risen Christ is real. 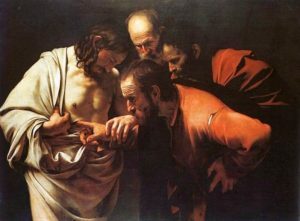 “Put your finger here and see my hands,” Jesus says to Thomas, showing him the wounds. “Reach out your hand and put it in my side. Do not doubt but believe.” And then Thomas finds his faith, saying, “My Lord and my God.” What happens when we consider Earth Day in the light of Easter? The first thing to say is that our Easter liturgies make it abundantly clear that Christ’s death and resurrection is good news not just to human beings but also to the whole of Creation – to rivers and mountains, forests and fields, whales and sparrows and sheep. At the Great Vigil of Easter, when we mark Jesus’ passing from death to life, we start by lighting a fire in the darkness and by listening to someone chant these ancient words: Rejoice and sing now, all the round earth, bright with a glorious splendor, for darkness has been vanquished by our eternal King. Rejoice and sing now, all the round earth! Christ is risen! Today’s Gospel story invites us to explore the good news of Christ’s resurrection by taking stock of our doubts. Doubting Thomas stands for all of us who wrestle with doubt – doubt about what Jesus accomplished on the cross, and doubt about the reality of the resurrection. 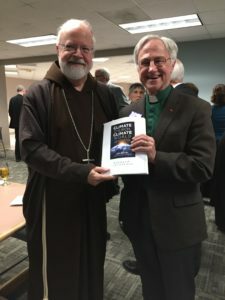 Doubt is a perfect theme for Earth Day, too, for when it comes to climate change – the issue at the top of everybody’s list on Earth Day – we hear a lot about doubt. Is climate change real? Is it serious? Is human activity responsible for most of it? Some folks outright deny the reality of climate change; others are on the fence and don’t know what to believe, assuming that scientists have not reached a consensus on the reality and causes of global warming. Fossil fuel groups are working very hard and spending millions of dollars to keep the American public doubtful and confused. The same folks who once spread doubt about the risk of smoking tobacco are now throwing their weight behind efforts to mislead the public about the reality of climate change. Some groups are even trying to spread doubt about the validity of science itself, doubt about the value of scientific research and scientific fact. Next they will be questioning the validity of gravity! It’s no wonder that Marches for Science filled the streets on Earth Day yesterday in more than 600 cities on six continents! Now, I don’t know you, but I’m going to assume that all of us here understand the value of science and the scientific process. I also assume that most of us are not climate skeptics; most of us do not deny outright the conclusions of science. But when it comes to climate change, most of us probably do engage in a kind of everyday doubt and denial. Thinking about climate change can make us feel anxious or overwhelmed, so it’s tempting to change the subject and focus on more manageable things. It’s hard to face facts squarely. It’s hard to absorb the fact that the science is settled and that the debate about climate change is over. 97% of climate scientists worldwide are telling us with increasing alarm that climate change is already upon us. In just 200 years – a blink in geologic time – human beings have burned so much coal, gas, and oil and released so much heat-trapping carbon dioxide into the atmosphere that levels of CO2 in the atmosphere are higher than our species has ever experienced before. Last year was the hottest year on record, crushing the record set the year before, which in turn crushed the record set the year before that. As global temperatures rise, every living system of the world is affected and in decline. Sea ice is melting rapidly at both poles. Land ice is melting and sliding into the sea. Tundra is thawing and releasing methane – a serious greenhouse gas. Storms are becoming more intense. Droughts are spreading in some areas, extensive floods in others. The ocean is absorbing heat and excess carbon dioxide, and in just decades has become 30% more acidic. Scientists recently reported that large sections of Australia’s Great Barrier Reef have died. 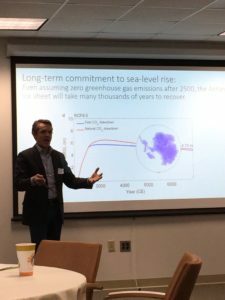 The climate emergency is not just a quote-unquote “environmental” problem. It’s not just about polar bears and coral. It’s about people in Southern Africa, where rains have failed, crops are withering, and starving families are “reduced to eating cactus and even rocks or ashes.” It’s about Pacific islanders whose homelands are already flooding from rising seas. 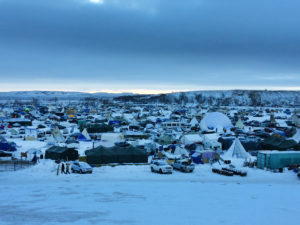 It’s about impoverished people here and abroad who are hit first and hardest by a changing climate, who have the fewest resources to adapt to it, and who are the least responsible for causing it. So when I hear Jesus say to Doubting Thomas, “Put your finger here and see my hands. Reach out your hand and put it in my side. Do not doubt but believe,” I hear Jesus inviting Thomas – and us – to face the truth of crucifixion. We might wish away the reality of the violence and the wounds. We might wish very ardently that none of this wounding of our dear planet were happening, that we weren’t seeing dying coral and melting icecaps, rising seas and increasing numbers of refugees. But it is happening, and just as on Good Friday the disciples couldn’t pretend that Christ’s wounds on the cross weren’t real, so we, too, can’t pretend that the wounds to God’s Creation aren’t real. Yet because of Christ’s crucifixion, we know that God is with us in our suffering and in the planet’s suffering. And because of Christ’s resurrection, we also know that death does not have to be the end of the story. “When it was evening of Easter day, the first day of the week,” Jesus comes and stands among his disciples and says, “‘Peace be with you’” (John 20:19). Can you feel the impact of that moment? The Risen Christ comes to his guilty, worried, frightened friends and says “Peace be with you.” He gives them peace. Forgiveness. Acceptance. However much they’ve abandoned and denied him, he loves them and is with them still. In fact, in this one short passage Jesus says “Peace be with you” three times, as if the disciples need to hear that message again and again – partly in order to undo Peter’s three-fold denial, but also so that all of them – and all of us – will experience that forgiveness deep in our bones. Maybe that moment marks the beginning of our own resurrected life: the moment we hear and take in how much God loves us and how completely we are forgiven, no matter what we have done. Humans are dismantling the web of life that God gave us as a free gift to love and to steward – and yet, somehow, somehow, we are forgiven. From that place of being forgiven, we can change course and begin to live in a dramatically different way. So it is not only peace that Jesus gives to his disciples. He also sends them on a mission. “As the Father has sent me, so I send you,” he says, breathing into them the Holy Spirit, the same creative wind and energy that moved across the face of deep at the very beginning of creation. Jesus not only shares in our suffering, he not only loves and forgives us – he also sends us out to bear witness to the resurrection, to the wild, holy, and completely unexpected fact that through the grace and power of God, life – not death – will have the last word. Through the power of the Risen Christ, we are sent out to be healers of the Earth, sent out to take our place in the great work of healing the wounds of Creation, sent out to restore the web of life upon which we, and all creatures, depend. What can we do? We can educate ourselves about the climate crisis. We can recycle more, drive less, and quit using bottled water. Maybe we can eat local, organic foods and support our local farms and land trusts. We can install insulation, turn down the heat, and turn out lights when we leave the room. I hope you’ll consider forming a Green Team or Creation Care Committee in this church, so that you can support each other in the urgent effort to live more lightly on God’s good Earth. 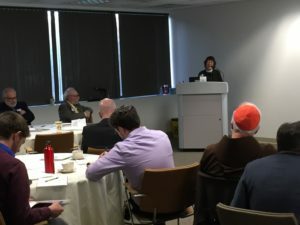 As individuals and congregations we can and should do everything we can, but the scope and speed of the climate crisis require action on a much broader scale, too. We need to join with others and make it politically possible to do what is scientifically necessary. 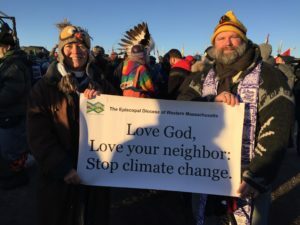 Thanks be to God, people of all faiths are rising up the world over to proclaim the sacredness of God’s Creation and to express our refusal to stand idly by and let the web of life be destroyed! 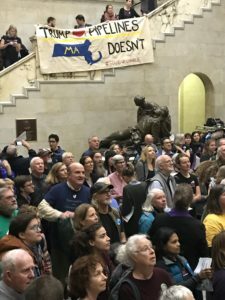 Right here in Massachusetts we have a strong grassroots climate action network, 350Mass for a Better Future, which has groups (“nodes”) across the state. When you sign up for the weekly newsletter, you’ll be hooked into a vibrant local effort. 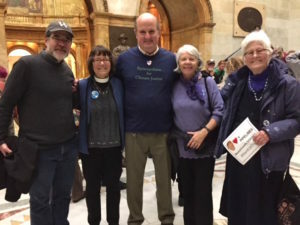 I’m also part of a new group, Massachusetts Interfaith Coalition for Climate Action, or “MAICCA” for short, which is bringing together Christians, Jews, Quakers, Unitarians, and people of all religious traditions to push for legislation in Massachusetts that supports climate justice. Together we are fighting to keep fossil fuels in the ground and to accelerate a transition to clean, safe, renewable sources of energy, such as sun and wind, that are accessible to everyone, including low-income and marginalized communities. I’ve put sign-ups at the back of the church for 350Mass for a Better Future and for MAICCA. Meanwhile a big climate march will be held next Saturday, April 29, in our nation’s capital. 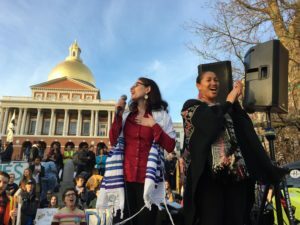 On the same day as this historic march in Washington, D.C., sister marches will spring up all over the country, including nearby cities like Springfield, Greenfield, and Boston. 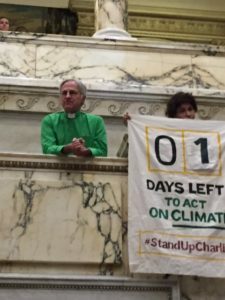 I hope you’ll grab a church banner and take your place in a local climate march, or that you will join me and other folks from the Diocese in heading down to Washington. 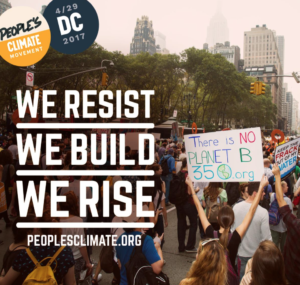 If you go to PeoplesClimate.org, you can get all the details. 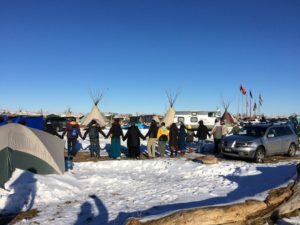 I give thanks that Christians of every denomination, and people of every faith tradition, are drawing together to proclaim with one voice that the Earth is sacred and that we intend to work together – boldly, lovingly, and without delay – to protect it from further harm. 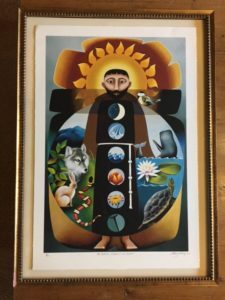 I am grateful for Doubting Thomas, for he gives voice to our doubt – doubt that we can prevent catastrophic climate change, doubt that we can make a difference, doubt that resurrection is even possible. But just as Jesus invited Thomas to move past his doubts, so, too, Jesus invites us to receive the power of his forgiveness and the gift of his energizing Spirit. Today at the Eucharist we will stretch out our hands to receive the body and blood of Christ, just as Thomas stretched out his hands to touch Christ’s wounded hands and side. There is so much healing that we can do, so much power-to-reconcile that God has given to us, so much life that we can help to bring forth. “Reach out your hand,” I hear Jesus saying to us today. “Do not doubt but believe. Step through your doubt and receive the Holy Spirit who shows you the path of life and who gives you strength to heal our precious, ailing planet Earth.